The new year hasn’t exactly started off with the positive bang that I was hoping for but I do believe things are looking up. On that note the girls and I are having an incredible time in California. California truly is one of my favorite places. I am not sure if it is because it is my place of birth but every time I return, I feel a sense of peace. 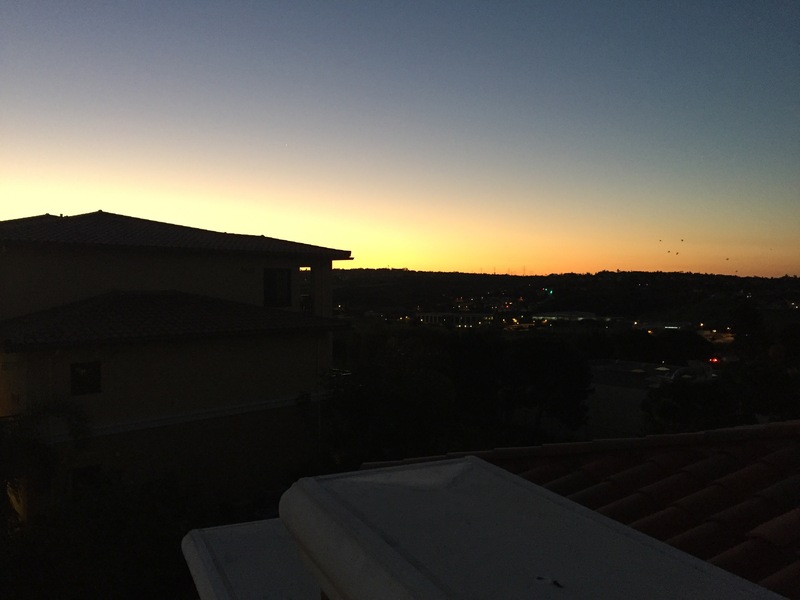 We are staying in Carlsbad, just north of San Diego and it is beautiful. Being able to wake up to a view of the ocean every morning is good for my soul. I love sharing my love of Cali with the girls. This morning the little one and I went on a sunrise adventure for donuts. 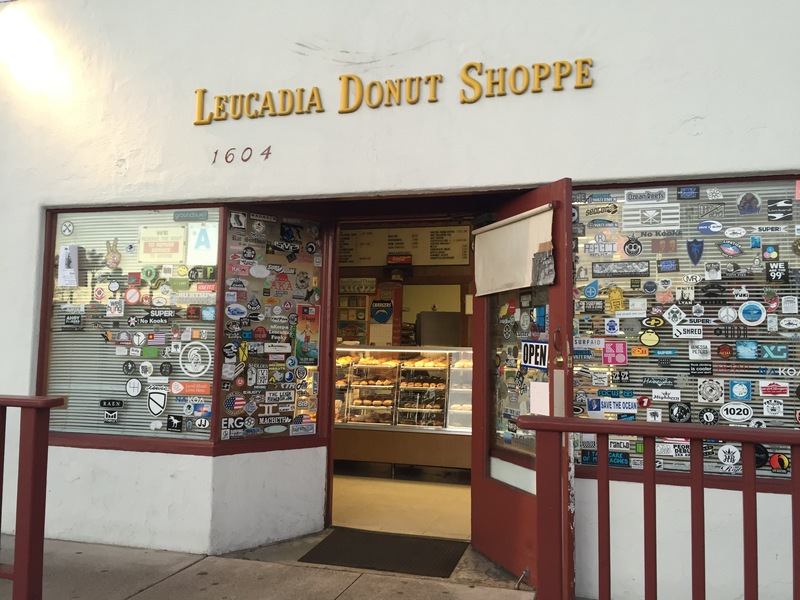 We have driven by the Leucadia Donut Shoppe on the pacific coast highway numerous times on our travels. The first time there was a huge line and the second time we drove by there was a sign on the door- the donuts were sold out by 10:30am! We were intrigued. 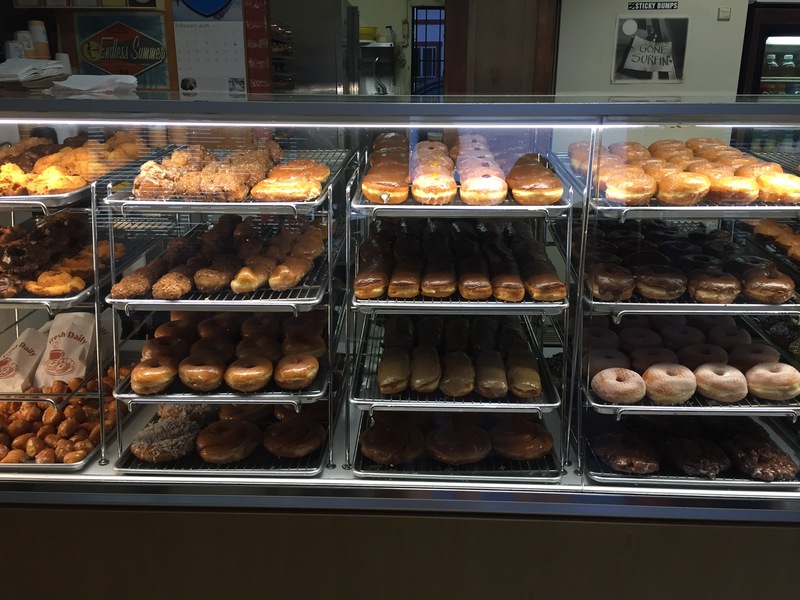 My body still wakes up like we are on the east coast so this morning Re and I hopped in the car and headed off to get donuts. 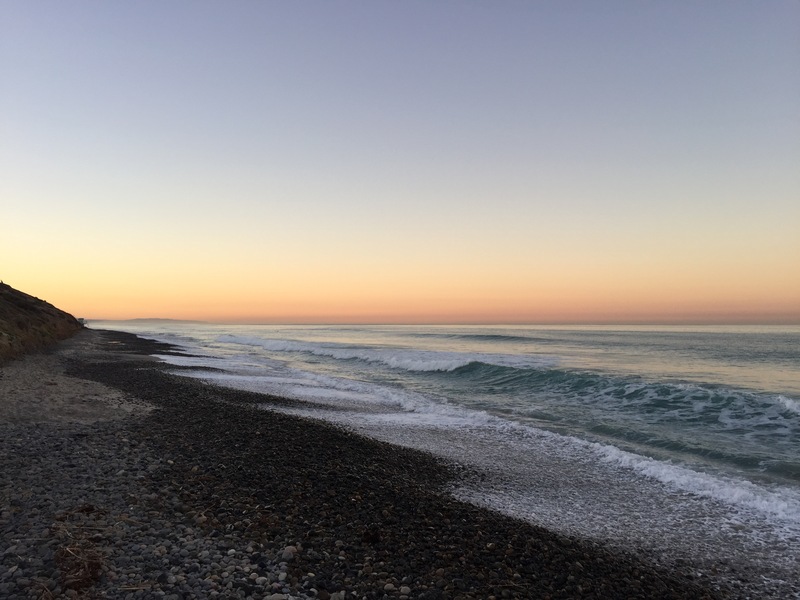 At that time of the morning we were able to see the sunrise, meet other crazy people getting donuts at 6 in the morning, chat with the super nice guy at the donut shoppe and stop to say good morning to the ocean. Perfection. And the donuts? Unbelievable. Amazingly good. Might be worth the sunrise drive every morning!!! 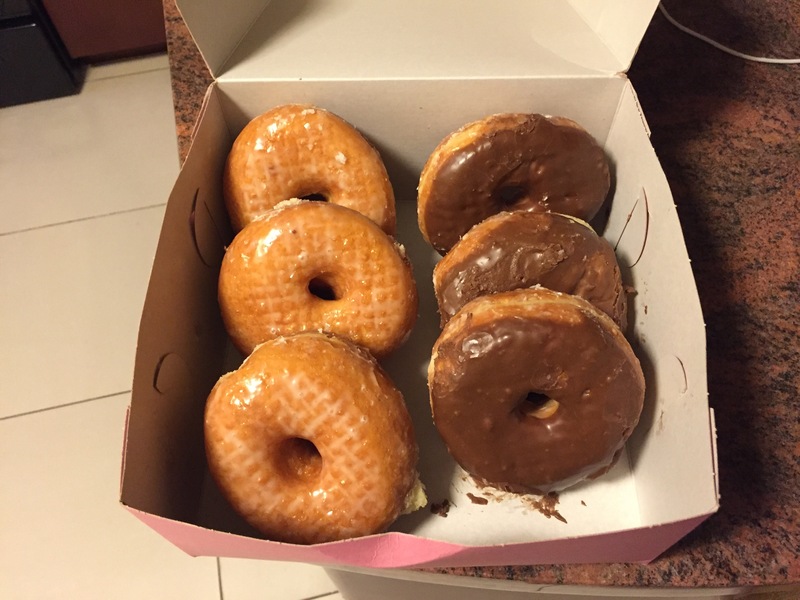 Donuts are among the few things I will get up super early for! 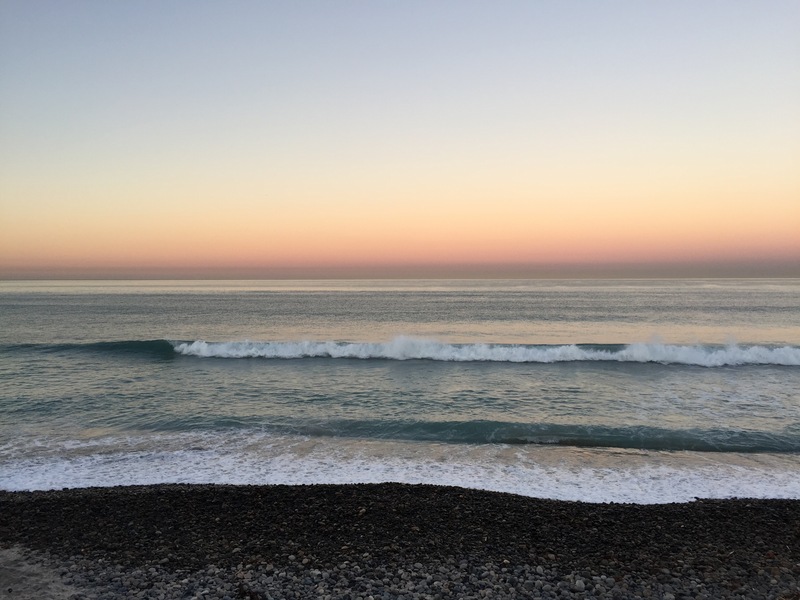 So jealous – would love to be breathing some salty sea air right now.